So it has been an extremely busy time in our house the past couple of weeks. October always seems to bring on the endless activities. 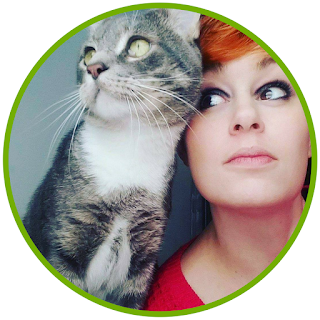 With fall festivals, parties, my birthday, and random projects for work, we rarely have a moment to catch our breaths until the New Year. Monday was my 26th birthday. Yes, yes, I am 26 and honestly feeling like I am finally pulling up my roots and moving forward with my life. I have felt so stuck since I graduated from college in 2011. I am finally going back to school to get a Master's in Secondary Education. It is not my first choice however. I went to school for avian paleontology. I wanted to study the origin and evolution of birds from dinosaurs. Sadly, the field is extremely small and when I say small, I mean there are only two people in the United States that I could work with on a graduate level and some 800 students applied for those 2-5 spots. I just can't compete despite my many accomplishments, including being a published scientists. I am very proud that my undergraduate research was published and hoped it would be enough for any graduate program, but sadly it wasn't. So, I have finally decided it is time to move beyond my dream to something more tangible. I decided if I can't be a paleontologist, I might as well teach it, so I am going to become a high school biology teacher. I went to an orientation/Q&A this morning and the program's dean, admission counselor, and one of the teachers absolutely adored me. They went on and on about what a wonderful teacher I am going to be and the dean said she was thankful I was turned down by other graduate programs. For the first time in 3 years I finally feel like I am worth something. I can't even begin to explain how much it meant to me to hear someone tell me they want me in their program; that I am valuable and have something worth sharing with the world. I cried when I got in the car because I was so overwhelmed. I have been rejected from graduate programs 10 times. That is 10 times I was told, "Sorry, you aren't good enough for us." Ten times I felt worthless, like a failure, like wasted space. I have spent the past three years angry with myself. Well, I am done feeling this way. 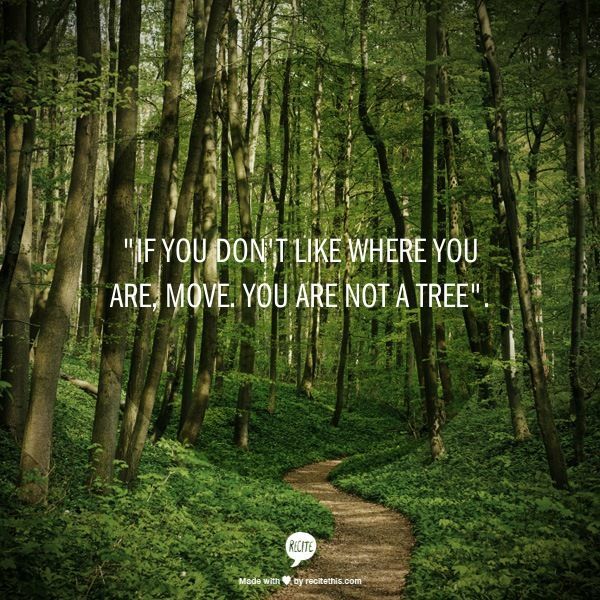 I am not not a tree; I am going to move forward. This isn't going to be an easy process, but I think I will be happy with it in the long run. Biology teachers are highly sought after and with a Master's I should make very decent money. I will be able to move where ever I want in the country or even outside of it, have the same holidays off as my children if I decide not to home school, and get to teach my favorite subject in the entire world. Needless to say, I have been busy. I haven't even bought pumpkins, let alone made a Halloween tree to set up an altar to honor the dead. I would feel guilty, but I don't. I had to focus on me for once and what I needed to do in order to feel alive. I am sure my deceased friends and family will understand and forgive me. I plan on posting next Friday for the Pagan Blog Project and hopefully an addition post sometime next week; on what I am not sure yet, but I will figure it out. I hope that everyone is enjoying this lovely fall and doing well! The Egyptians also believed Sage increased fertility and women would drink sage juice before lying with their husbands to ensure conception. Sage is also a powerful protector. Wearing a horn full of Sage will protect you from the evil eye while burning it will dispel negative energy and cleanse rooms and objects. If you desire to make a wish come true, write your wish on a Sage leaf and sleep on it for three nights. If you dream of your wish, it will come true. If you do not, bury the Sage in the ground to prevent harm coming to you. Be weary if you wish to grow Sage in your garden. It is bad luck to plant Sage in your own garden and a stranger (or someone not living in the home) should be found to plant it for you. Furthermore, a full bed of Sage is bad luck so make sure the plot is home to other plants as well. Medicinal Uses: The leaves of Red Sage are often used to aid inflammation of the mouth, throat, and tonsils as its volatile oils are soothing to the mucous membranes. It can be used internally as a mouth wash to treat gingivitis, inflamed tongue (glossitis), and other mouth inflammations including mouth ulcers. It can also be gargled to treat laryngitis, pharyngitis, and tonsillitis. Furthermore, it reduces sweating when taking internally. Externally it is used to treat wounds. Do not take Sage if you are pregnant or wishing to breastfeed. When taken internally, it can reduce breast milk production and stimulate the muscles of the uterus. Preparation and Dosage: The leaves should be collected shortly before or just at the beginning of flowering (May or June). Leaves can then be dried, but not above 95°F. Sage can be taken internally as either an infusion, tincture, or gargle. To make an infusion, pour a cup of boiling water onto 1-2 teaspoons of leaves and let infuse for 10 minutes. Drink this solution up to three times a day. As a tincture, take 2-4 milliliters up to three times a day. To make a gargle put 2 teaspoons of dried leaves in 1 pint of water. Bring to a boil, cover, and let stand for 15 minutes. Gargle deeply with the hot deep for 5-10 minutes several times a day. 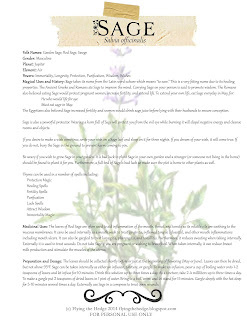 Externally use Sage in a compress to treat open wounds. Normally when I talk about tinctures and extracts, I am referring to herbal mixtures and remedies. However, it is possible to make tinctures and extracts from crystals for both medicinal and magical purposes. I'm not going to touch on any of these uses today, simply explain how to make them. To make a tincture or extract, cleanse (both physically and magically--best option is to run it under water) and charge your crystal. If you plan to ingest your tincture or extract please make sure your crystal is nontoxic. Many crystals, including aquamarine, emerald, and tiger's eye, are toxic when soaked in alcohol, water, or oil. You can find a decent list here. Once your stone is cleansed and charged, soak the crystal in alcohol, water, or oil for 2-4 hours in sun light. If your stone will fade in sun light, you can use moon light instead. Remove the crystal and store the water in a clear glass jar. If you soaked your crystal in water pour in 1/4 cup of distilled vinegar or Vodka to prevent algae growth if you do not plan to use your extract immediately. If you still wish to use a toxic crystal you can use an indirect method. Simply place the crystals in a small bowl within a larger bowl full of alcohol, water, or oil. The vibrations will enter the liquid but the toxins will not. With preservation (alcohol or vinegar) your extracts can last up to two years if using internally or 6+ years if using externally. Tinctures will last up to 6+ no matter their use as they are made from alcohol. Oils should be used within weeks to prevent them from going rancid. Crystal tinctures and extracts are very simple to make. However, using crystal tinctures and extracts for medicinal purposes is not so simple. I have never personally used crystals for medicinal purposes, but I plan on learning how to use them in the future. Until then, please consult Google and its infinite wisdom with caution.